A common condition of knee pain and inflammation is Knee Osteoarthritis (KOA). This is a degenerative joint disease process involving the knee joint cartilage and bone hyperplasia. The chronic nature of KOA will ultimately lead to pain and limited joint movement (1). The knee is a complex structure and being the largest joint in the body, is one that is most prone to frequent acute injury as well. Structural components of the knee joint include several muscles groups that function to straighten the leg (extension) and bend the leg (flexion) at the knee. Associated tendon and ligament attachments, i.e. the anterior cruciate ligament (ACL) and medial collateral ligament (MCL)together help coordinate and control motion by connecting bones. Ultimately, the surrounding knee cartilage act to cushion the knee and serve as a type of “shock absorber” during motion. Knee injuries can be caused by several factors. Most complaints of knee pain result from some form of trauma, such as a torn or ruptured ligament; a broken or fractured kneecap; torn cartilage; or an accident that causes damage to the area or strains the knee beyond its normal range of motion. Other conditions that can lead to knee pain are infections; osteoarthritis; hemarthrosis (blood in the knee joint); cysts; and bone tumors. Poor weight management can also contribute to knee problems by causing excess strain on ligaments and cartilage. According to Traditional Chinese Medicine principles (TCM), pain is experienced when the body’s energy flow within the channels, or meridians, is disrupted or becomes unbalanced, a condition known in TCM as a diagnosis of “Qi and blood stagnation.” The goal of acupuncture (as one modality of TCM) is to restore the flow of this foundational and essential energy, relieve the pain and regain function and integrity of the knee joint. A thorough evaluation and assessment of the knee (and with regards to any previous diagnostic imaging or interventions i.e. X-ray, MRI, arthroscopic surgery and cortisone injections) will precede the acupuncture treatment. The actual treatment will involve the placement of very fine acupuncture needles at specific points along the body’s meridians, which may be located distally away from the knee or surrounding the knee depending on the treatment approach. The outcome of acupuncture promotes proper blood microcirculation and oxygenation to the tissues so that the healing mechanism of the body is activated. Other TCM modalities that can be combined with acupuncture in the treatment of knee pain include Tuina (Chinese medical massage), moxibustion, and electrical stimulation. 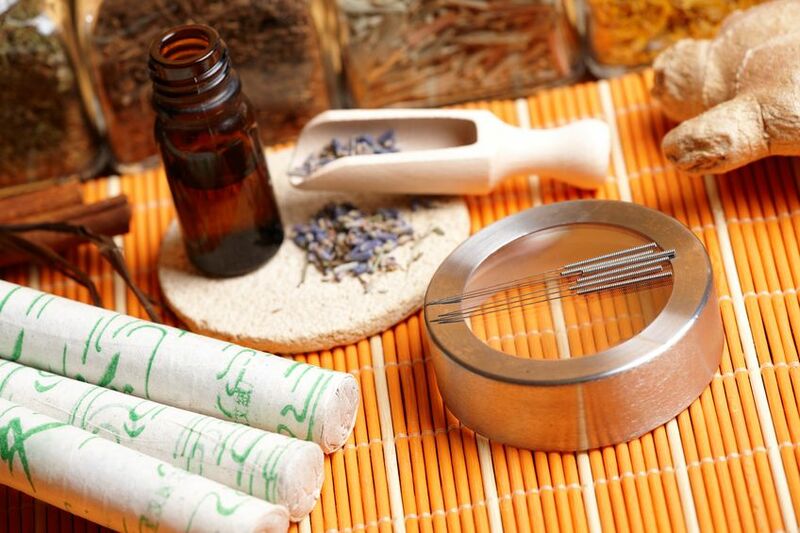 For chronic cases, traditional Chinese herbal formulas may be implemented to achieve long lasting pain relief.